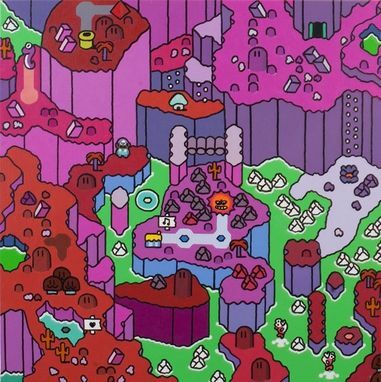 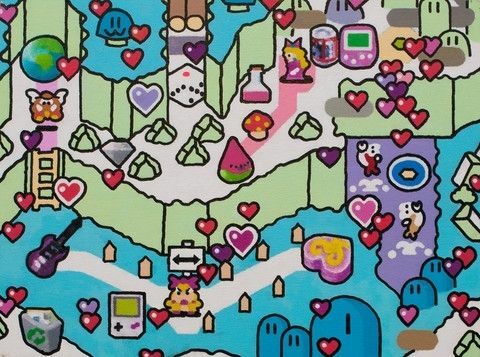 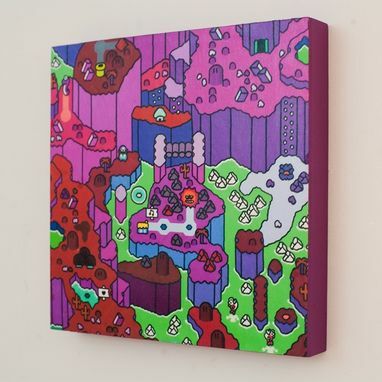 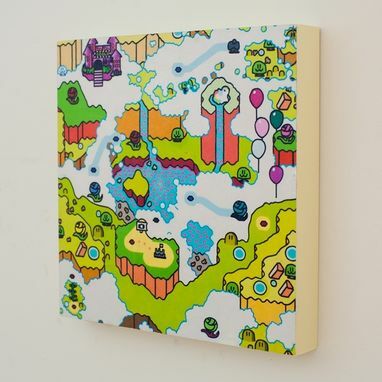 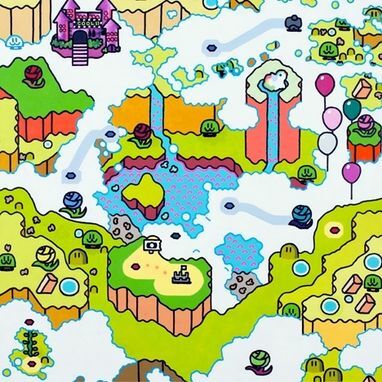 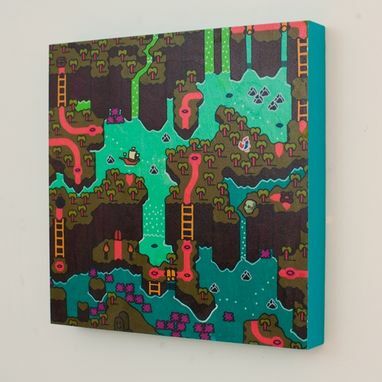 Using video game editing software, I first developed, and then painted, a pop art map that references "Super Mario World", a 90s era video game. 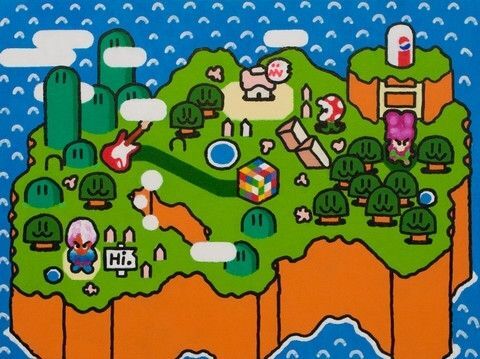 The image clearly mimics the style of the old video game, but introduces new elements that add a humorous and nostalgic take on it. 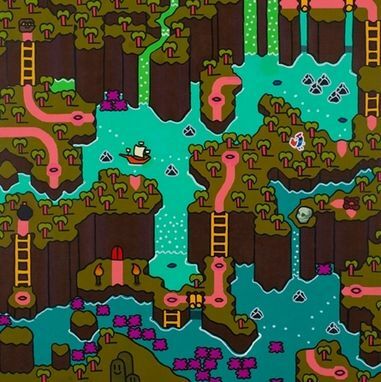 The flatly painted surface and intensely bright colors heighten the relationship between the digital and the real.